SOREMARTEC S.A. requested the Polish Patent Office to invalidate the right of protection for the trade mark Raffaello Spumante Dolce Sweet Spumante QUALITA SOPERIORE R-182895 registered for Toruńskie Piwnice Win VINPOL Sp. z o.o., currently VINPOL Sp. z o. o.
SOREMARTEC claimed that this sign is similar to the renowned series of RAFFAELLO trade marks registered on its behalf, that the application was filed in bad faith, and that this sign is similar to SOREMARTEC’s trade marks to a degree that causes a risk of misleading the public as to the origin of goods. SOREMARTEC noted that it is aware of VINPOL’s word trade mark RAFFAELLO R-87046 applied for registration in 1993 and subsequent word and figurative trade marks that include in their verbal elements the word “Raffaello”. Therefore, the Company did not oppose the coexistence of Raffaello pralines and sparkling wine bearing the label with the word “Raffaello” on the Polish market. However, the disputed trade mark includes the graphic version of RAFFAELLO that confusingly similar to the one that is consistently used by Ferrero for many years on the packaging of Raffaello pralines. The existence of the contested trade mark would be harmful to both the reputation and distinctiveness of its trade marks, as well as it would be unfairly “impersonating” the reputation of its trade marks without the cost of advertising and promotion. To prove the reputation of its trade marks SOREMARTEC submitted a copy of the public poll report entitled “RAFFAELLO Brand Recognition” and a copy of the report “Development of praline market in Poland”, which shows that the brand RAFFAELLO was in the forefront of the most popular brands of sweets in Poland, its advertising was one of the most remembered and associated advertising of pralines, and Raffaello pralines were among the 10 most frequently purchased and consumed pralines within 6 months preceding the date of the polls. SOREMARTEC also presented a tabulation of the total expenditure on advertising and promotion of Raffaello products in Poland, which have been incurred by Ferrero from 2001 to 2005, and a tabular summary of quantitative results of sales of Raffaello pralines for the period from February 2001 to February 2006. These data indicated that SOREMARTEC has continually expanded and refining the Raffaello’s product line incurring increasing financial investments and extensive marketing campaigns and advertising, so the demand for its products continues to grow. Moreover, SOREMARTEC argued that VINPOL applied for two other trade marks, which verbal element is identical to SOREMARTEC’s trade mark, i.e. 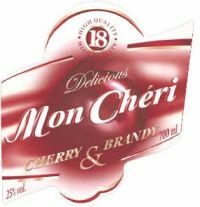 MON CHERI R-194468 and word-figurative Mon Cheri CHERRY BRANDY & Delicious 18 High Quality R-203339, and this proves conscious and deliberate action designed to use the reputation of SOREMARTEC’s trademarks. In response, VINIPOL argued that the goods produced by SOREMARTEC, i.e., pralines, and wine are not identical or similar, and therefore there is no risk of misleading the public. The PPO invalidated the right of protection for the trade mark Raffaello Spumante Dolce Sweet Spumante QUALITA SOPERIORE R-182895. The PPO ruled that the circumstances, i.e. several years of presence on the Polish market of Raffaello pralines before the filing date of the contested trade mark, a volume of sales and high percentage of recognition of Raffaello trade marks and its distinctive character, what is the result of both the original form of a trade mark, as well as expenditures on promotion and advertising, confirmed the reputation of Raffaello pralines. According to the PPO, the goods such as alcohol and sweets have many features in common, particularly because they are not consumed for nutritional purposes but for pleasure, such goods can be produced by one company, and may also be sold in a set, or eaten together, which may cause the potential audience to associate sparkling wine with Raffaello pralines. The PPO decided that the contested trade mark, because of its form, will attract the attention of consumers who know the early signs and the goods, in connection with which these trade marks are used. As a result, VINPOL would gain unfair advantage that is mostly based on creating the effect of interest in the goods and services marked with this sign, without having to incur any expenditure on promotion of its goods and services. 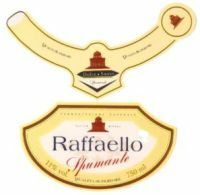 The PPO has also stressed that the fact that earlier registrations of trade marks for wines with the Raffaello element did not authorize VINPOL to create labels of those products in a form, which resemble them to reputable trade marks, and therefore let VINPOL to benefit from the fact that the recipient seeing the wine Raffaello associate them with products offered by SOREMARTEC that enjoys good reputation among buyers. VINPOL filed a complaint against this decision. The Voivodeship Administrative Court in Warsaw in its judgment of 29 July 2011 case file VI SA/Wa 211/11 dismissed it. The Court noted that provisions of the Polish Act on Industrial Property Law does not contain a legal definition of a reputable/renown trade mark, so the Court had to refer to the opinion developed by case law and doctrine. The Court of Justice in its judgment of 14 September 1999 Case C-375/97 Chevy formulated the definition of a renowned trademark for the first time. The doctrine points out that the reputation of a trade mark depends primarily on the quality of the goods bearing it, the financial investment made by the entrepreneur to promote its sign in the media and the period of time required for the customer to establish relationship between a specified quality with goods that bears a sign that represents this high quality (recognition of goods bearing the trade mark on the market). The passage of time needed for the establishment of reputation of the trade mark is different for goods from different industries. The period of time depends on many factors, in particular on the intensity of advertising surrounding the launch of the goods bearing the sign. Furthermore, by creating a reputation of a trade mark, the advertising function of a sign is also strengthen, because such a mark encourages customers to purchase goods bearing it. This function is the result of an advertising of a sign staggered in time, by the use of a mark by an authorized entity and the relationship created in the minds of consumers between a sign with positive associations, particularly with regard to quality, usefulness, of product, the profitability of its acquisitions, and other characteristics relevant to the recipients of goods bearing the trade. Also the domestic case law provides that the reputation of a trade mark is characterized by market share/participation (both quantity and value of sold goods), range and long-lasting of an advertisment of the product bearing a trade mark, territorial and temporal range of use, licences granted for trade mark use, quality of goods bearing a trade mark, value of a given sign in assessment of an independent financial institution, size and extent of expenditures spent on promotion of a mark, the relationship on prices of substitute goods, if (and to what extent) the mark is used by third party, as it was decided in the judgment of the Supreme Administrative Court of 9 May 2008 case file II GSK 506/07, the judgment of the Supreme Administrative Court of 27 February 2008 case file II GSK 359/07. The Court ruled that the PPO correctly concluded, based on the evidence presented that SOREMARTEC’s trademarks are reputable, and the sign at issue is similar in such a way that consumers can associate these characters with each other, and the use of this trade mark by VINPOL may bring unfair advantage due to the obvious use of the reputation of the trade marks owned by SOREMARTEC. The evidence showed that Raffaello pralines were present on the Polish market several years before the filing date of the contested trade mark, the sales were rising over the years, the high percentage of recognition of Raffaello, and a significant volume of promotion and advertising, created the image of the brand as a symbol of quality, delicacy and elegance. All this confirms the reputation of Raffaello pralines. At the same time as it was pointed by the Appellate Court in Warsaw in its judgment of 3 October 2007, case file I ACa 767/07, there is no requirement of likelihood of confusion in relation to reputed trade mark, only the possibility to associate a sign with a reputed trade mark that was registered earlier, which results that the first sign is able to attract customers through positive images carried by a reputable character. Associations between such trade marks occur when the designation used by the infringer automatically brings in minds of potential customers a reputable character originally used by the owner, even if the recipient is aware of the fact that both entities are completely independent. If these signs are also used to designate similar goods, there is no need to show any additional evidence. Apart whether consumers will confuse this trade mark as to the origin of the goods designated, it will draw attention to goods bearing a renowned trademarks. Such a situation would give unfair advantage resulting only from similarity to the earlier reputed mark, based mainly on the effect of interest that would arouse in the goods covered by the contested mark, without incurring any expenses for promotion of those goods. Categories: Art. 132(2)(iii) IPL | Art. 4(5) Directive 89/104 | bad faith | Directive 89/104/EEC | famous trade marks | letter of consent | likelihood of confusion | Polish Act on Industrial Property Law | Polish courts | reputed trade marks | similarity of goods | similarity of signs | trade mark invalidation | trademark law | Voivodeship Administrative Court. DOMAIN MENADA Sp. z o.o. applied for the right of protection for the word trade mark “TCHERGA – ŻYJ KOLOROWO” for goods in Class 33 such as alcoholic beverages (except beers). The Polish Patent Office refused to grant the right of protection because it found similarity with the earlier trade mark TCHERGA IR-0829406 owned by Droujestvo S Ogranitchena Otgovornnost BELVEDERE Capital Management. DOMAIN MENADA pointed out that it is a controlled company and the Bulgarian entrepreneur is the controlling one, where both enterprises form a homogeneous capital group and remain inseparable commercial contacts and in the interest of both parties is that DOMAIN MENADA is granted the right of protection for a trademark in question and a letter of consent signed by the Bulgarian company was a proof of such an approach. DOMAIN MENADA argued that the same evidence was brought in case of the “TCHERGA CRAZY FOR COLOUR” trade mark R-196255, in which the Polish Patent Office granted the right of protection. The PPO noted that all relationships between entrepreneurs, can only be the basis for granting a license to use the trade mark. The provisions allowing for a letter of consent in relation to the trade mark rights remaining in force are not provided in Polish law. The Polish Industrial Property law introduced regulations on a letter of consent in a limited extent in the case of applying for the right of protection for a trade mark in respect of identical or similar goods, if the trade mark is identical or similar to a trade mark earlier registered in the Republic of Poland, whose registration has terminated. The right holder of the earlier right may give his/her consent for the later trade mark being granted a right of protection. The PPO noted that the TCHERGA CRAZY FOR COLOUR R-196255 was registered before the Supreme Administrative Court rendered a judgment case file II GSK 279/07. The SAC held that a letter of consent cannot be used as ground to register a trade mark since Poland did not implement Article 4(5) of the First Council Directive 89/104. See “Trade mark law, case II GSK 279/07“. Domain Menada filed a complaint against this decision. The Voivodeship Administrative Court in its judgment of 12 January 2011 case file VI SA/Wa 1104/10 dismissed it and ruled that capital or organizational or personal links between enterprises cannot justify and serve as the sole reason for granting the right of protection for a trademark. Categories: Art. 132(2)(ii) IPL | Art. 133 IPL | Art. 4(5) Directive 89/104 | Directive 89/104/EEC | letter of consent | Polish Act on Industrial Property Law | trade mark refusal | trademark law | Voivodeship Administrative Court. The Polish Patent Office refused to grant the right of protection for the word-figurative trade mark PRODUCT OF ITALY FILIPETTI Casa Fondata nel 1922 VERMOUTH EXTRA DRY Ricetta Originale Filipetti Prodotto seguendo la tradizionale ricetta della Casa Filipetti Z-298152 that was applied for by Domain Menada Sp. z o.o. for goods in Class 33. The PPO decided that this trade mark is similar to the word trade marks FILIPETTI R-101614 and R-140718 owned by Belvedere S.A. Domain Menada argued that it is a part of the Belvedere Group, and provided a letter of consent. The Company filed a complaint against this decision. The Voivodeship Administrative Court in Warsaw in its judgment of 21 June 2010 case file VI SA/Wa 711/10 dismissed it. The Court held that in any case, the mere existence of links (relationships) between entrepreneurs belonging to the same capital group cannot be regarded as a guarantee of quality of product bearing the disputed trade mark. It should be noted that the capital group is a specific form of business, where corporate governance is exercised at several levels – both across the group and in individual companies. The mere membership in a capital group cannot be used as an argument that the signs from affiliated companies will not mislead consumers. Domain Menada filed a cassation complaint. Categories: Art. 131(1)(iii) IPL | Art. 131(3) IPL | Art. 143 IPL | Art. 144 IPL | Art. 145 IPL | Art. 4(5) Directive 89/104 | letter of consent | likelihood of confusion | similarity of signs | Voivodeship Administrative Court. On 25 July 2005, DOMAIN MENADA Sp. z o.o. 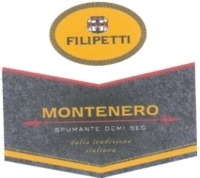 from Warsaw applied for the right of protection for FILIPETTI MONTENERO SPUMANTE DEMI SEC dalla tradizione italiana trade mark in class 33. The Polish Patent Office informed DOMAIN MENADA that there exist earlier trade marks owned by Belvedere S.A. and refused to grant the right of protection for the applied sign. DOMAIN MENADA filed a complaint in which the company argued that it is a member of Belvedere Group and provided a proper letter of consent. The Voivodeship Administrative Court in Warsaw in its judgment of 21 June 2010 case file VI SA/Wa 710/10 held that in any case, the mere existence of links (relationships) between entities belonging to the same capital group cannot be regarded as a guarantee of quality of product bearing the disputed trademark. It should be noted that the capital group is a specific form of business, where corporate governance is exercised at several levels – both across the group and in individual companies. The mere membership in a capital group cannot be used as an argument that the signs from affiliated companies will not mislead consumers. Categories: Art. 131(1)(iii) IPL | Art. 131(3) IPL | Art. 132(2)(ii) IPL | Art. 143 IPL | Art. 144 IPL | Art. 145 IPL | Art. 245 IPL | Art. 4(5) Directive 89/104 | Directive 89/104/EEC | letter of consent | likelihood of confusion | trademark law | Voivodeship Administrative Court. The Company Plus Warenhandelsgesellschaft mbH tried to register the word trade mark AZOR in Class 3 in Poland, but the same mark was already registered and had been in force since 1995. Its owner – ORO Produkte Marketing International GmbH – reached an agreement with Plus regarding its registration. However, the Polish Patent Office rejected Plus’ trade mark application. The Voivodeship Administrative Court in Warsaw in its jugment of 14 March 2007 case file VI SA/Wa 2314/06 dismissed a complaint brought by Plus. The Court uphold the PPO’s decision and ruled that the Polish Act on Industrial Property Law provides no exceptions for registration of a mark that is identical to an earlier trade mark, and the goods or services for which the trade mark is applied for are identical. The Supreme Administrative Court in its judgment of 20 December 2007 case file II GSK 279/07, has confirmed the lower Court’s judgment and ruled that a letter of consent cannot be used as ground to register such trade mark since the Republic of Poland did not implement Article 4(5) of the First Council Directive 89/104. This article is one of the provisions of Community law which leaves the freedom of Member States regarding the implementation of their national law. It has no direct effect for individuals. This provision has been implemented into the Polish Industrial Property Law, only with regard to trade marks for which protection has lapsed. Categories: Art. 4(5) Directive 89/104 | Directive 89/104/EEC | EU law | letter of consent | Polish Act on Industrial Property Law | Polish courts | Polish law | Polish Supreme Administrative Court | trademark law | Voivodeship Administrative Court.